"They get along pretty well because they both love to go for walks and then come back home and take a nap." 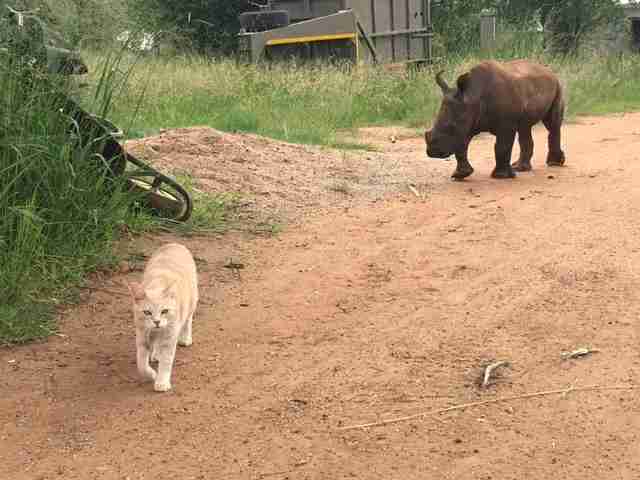 We may never know the line of feline reasoning that led Mewie, an orange tabby, to decide to befriend an orphaned rhino. Whatever it was, we're really glad it happened. 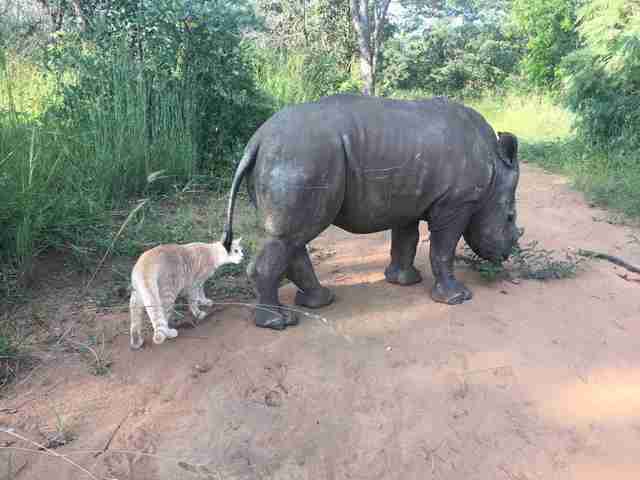 The pair live in South Africa at The Rhino Orphanage, which is supported by the Wild Heart Wildlife Foundation (WHWF). 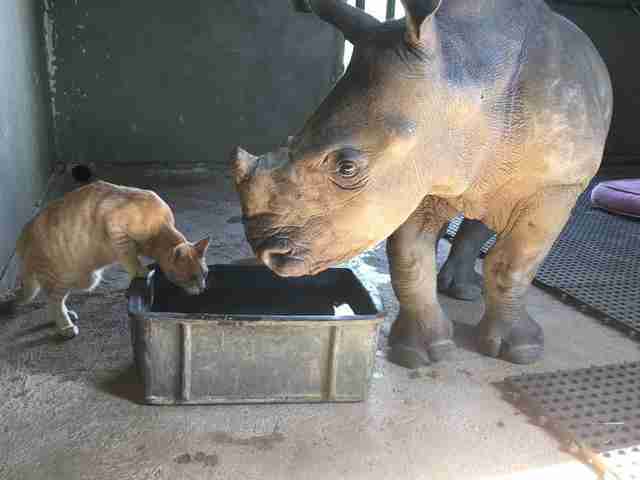 Mewie was rescued when he was just a few weeks old by Jamie Traynor, a caretaker for the orphaned rhinos. 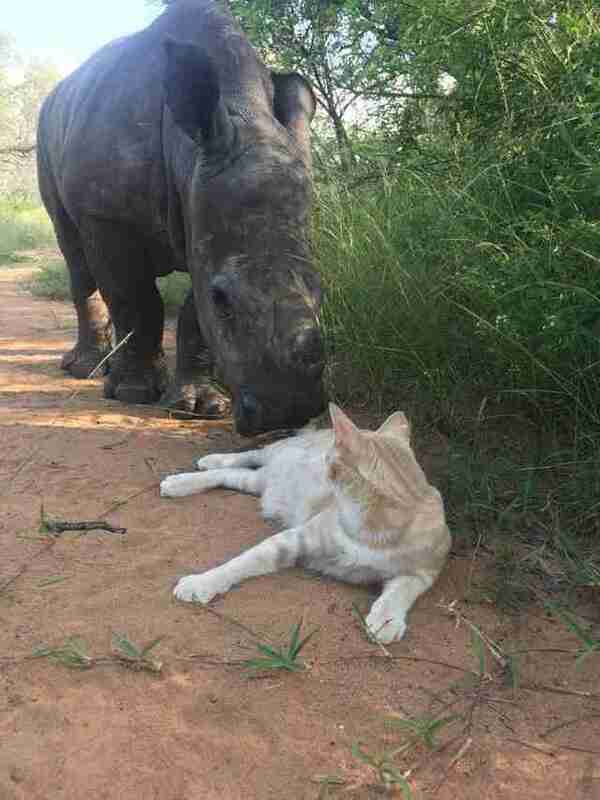 "He follows me all around the orphanage," Traynor told The Dodo, about her cat. 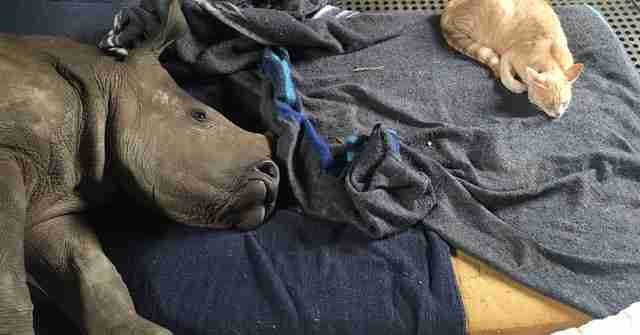 Nandi, the little white rhino, was just 2 months old when she was found all alone back in December. 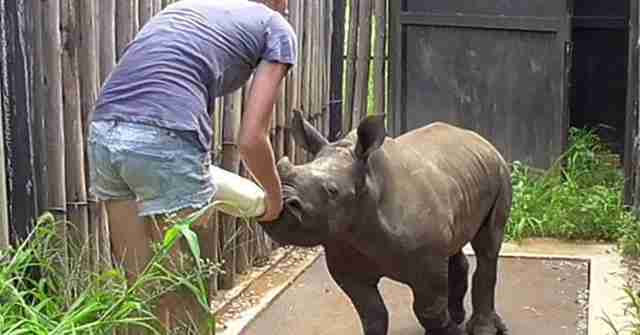 Her mother had been shot and killed by poachers. 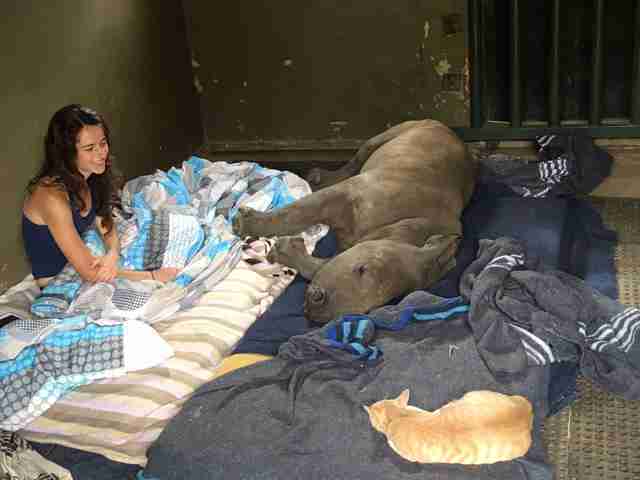 Somehow, Nandi survived on her own for days, until rescuers arrived. They took Nandi back to the orphanage, where they fed her and helped her regain her strength. 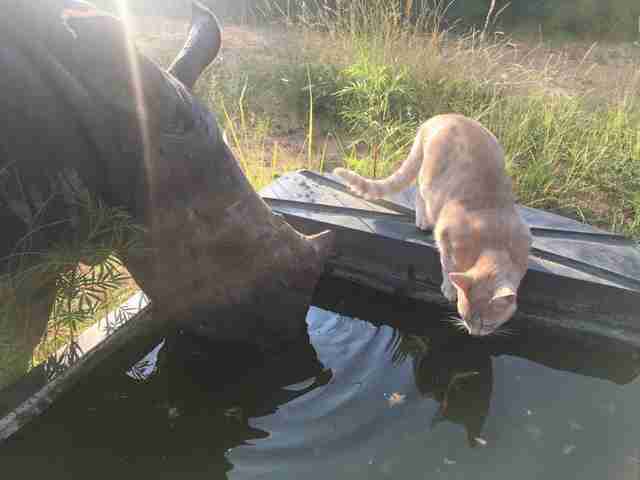 And that's where she met Mewie, who appeared unconcerned with how much larger Nandi is. 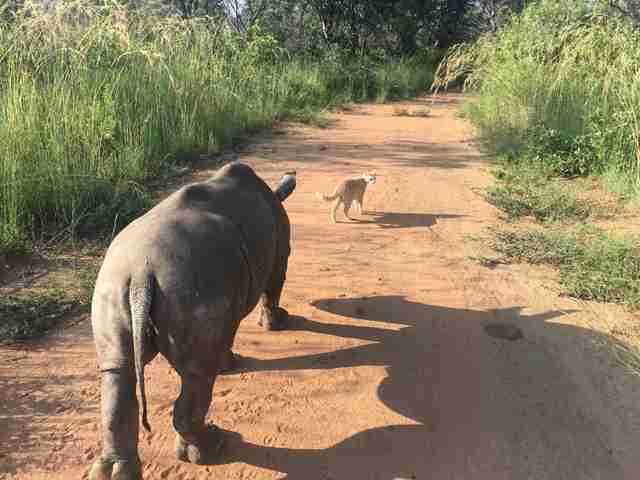 Mewie wasn't about to let a difference in looks or size interfere with what appeared to be a promising companionship - especially since they both enjoy taking long walks outside. 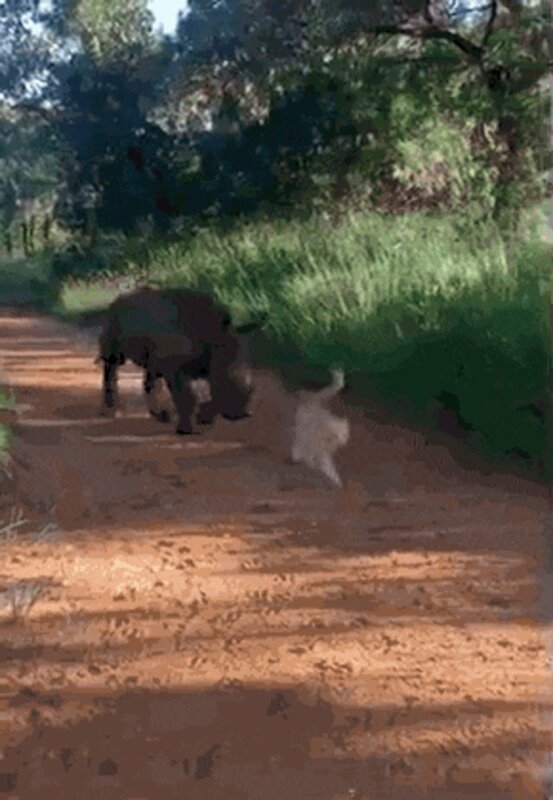 "They get along pretty well because they both love to go for walks and then come back home and take a nap," Traynor said. "Mewie needs to be carried back from the walks because he gets too tired!" After exploring the grounds together, they like to take their naps together, as well. 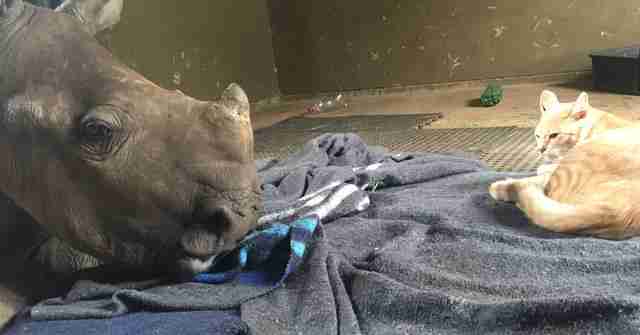 Rescuers hope that Nandi will grow to be strong enough to go back to the wild, but she's still young. So Mewie and Nandi have many walks and naps ahead of them. 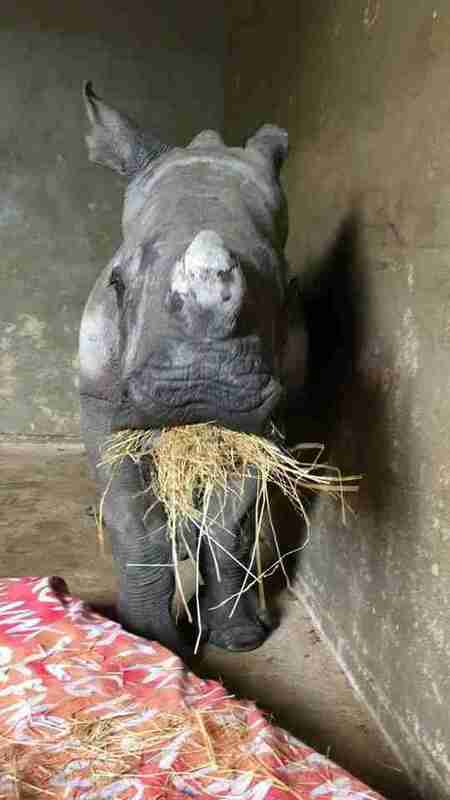 You can help other rhinos like Nandi by making a donation.